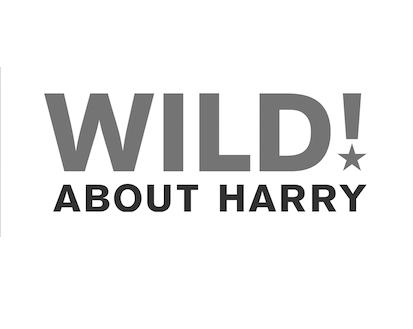 Wild About Harry is pleased to present keynote speaker, bestselling author and Kansas City native, Calvin Trillin. The beloved New Yorker writer and humorist recently issued Jackson, 1964, a deeply resonant, career-spanning collection of articles on race and racism, from the 1960s to the present. The event will also feature Truman Legacy of Leadership Award winners; John Lewis & Jim Clybrun. 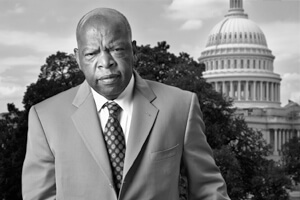 The event will also feature Truman Legacy of Leadership Award winners; John Lewis & Jim Clyburn. Often called “one of the most courageous persons the Civil Rights Movement ever produced,” U.S. Rep. John Lewis has dedicated his life to protecting human rights, securing civil liberties and building what he calls “the beloved community” in America. 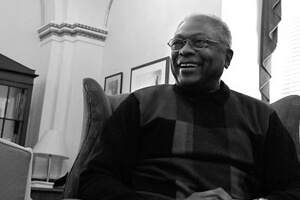 James Enos “Jim” Clyburn (born July 21, 1940) is the U.S. Representative for South Carolina’s 6th congressional district, serving since 1993, and the Assistant Democratic Leader since 2011. As Assistant Democratic Leader, he is the third-ranking Democrat in the House behind House Minority Leader Nancy Pelosi and Minority Whip Steny Hoyer. Rep. Clyburn earned his early political stripes as a student leader at South Carolina State College during the early Civil Rights years. LEADER has a full fleet of Mercedes-Benz Sprinters, Cadillac CTS, Suburbans, & BMW 7 Series that are perfect for transporting large groups, shuttle services, and taking large groups of people to and from airports, if necessary. Contact LEADER Worldwide to book your individual or group ground transportation for the weekend. give us a call at 816.753.5323 or 855.753.5323, or head over to our reservations page for information on rates and vehicle availability.